Here's my first review for FilmTotaal. Same business, different employee. The first Flemish Sinterklaas movie is definitely modeled after the Dutch formula. 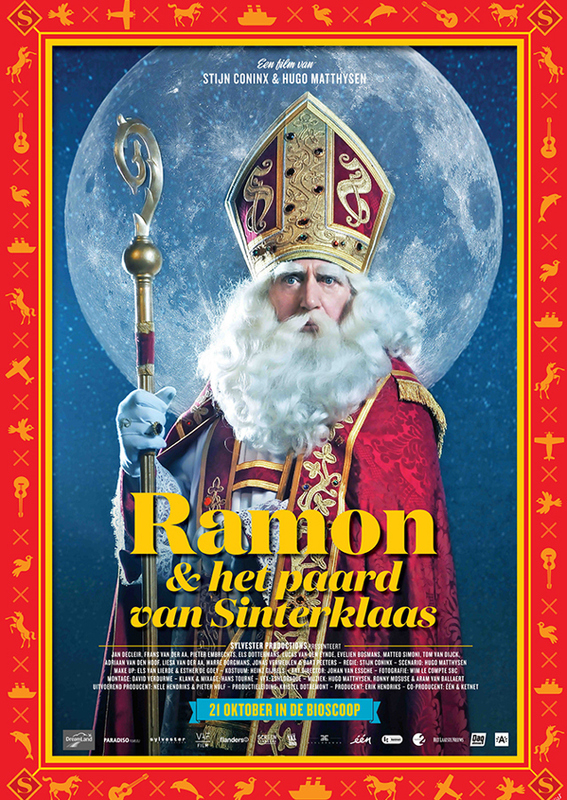 Which is not surprising, since until so far, the Flemish kids had to make do with the myriad of Dutch Sinterklaas titles. And those proved succesful enough to finally convince Belgian producers to develop a Sinterklaas product of their own. And since only one Dutch Sint movie is produced this year - usually it's two, sometimes even more - why not return the favour and release it in Holland? They need not have bothered. Not that Ramon en het Paard van Sinterklaas is particularly bad (though it's certainly not a good family film that wins the hearts of all family members, as it's really only fun for kids), but it doesn't add anything to the slate of Dutch movies covering the topic, other than certain long running characters in Sint's Flemish entourage that the Dutch kids aren't at all familiar with. And most of them aren't so much fun to watch they'll stick in kids' minds for very long. Aside from that, the film feels very much like its Dutch counterparts. Sint and co. are preparing for their trip up north, something goes awry - in this case, Sint's horse and its attendant are kidnapped - but all ends well and the festivities can procede as they always do, full of mirth and merriment. Add to that a cast of supporting characters (but no children, interestingly enough) to spice things up a bit and you have a thirteen-a-dozen Sinterklaas flick. In Holland, it's good to keep the kids occupied for a good 90 minutes. However, there's so many side characters in this film, that it ends up nigh two hours in length. Too long for the parents, and as it turned out at the press screening where the target audience was represented as well, also quite a challenge for the kids to sit through without getting overly restless. So there at least is a difference with the Dutch method: the Flemish take their time. Other than that, if it wasn't for the accents and the presence of Antwerp, you'd hardly think you were watching a foreign Sinterklaas picture. I would have preferred something more distinct from the Dutch takes on the subject. The big question on most parents' minds of course is: how are the Belgians portraying Zwarte Piet? It's a white guy in make-up, the blackness explicitly stated to be the result of crawling up and down chineys, just as he was always supposed to be. Good approach. However, thicker layers of soot might have been applied, since this particular Piet (and there's only one of him here) obviously hadn't seen a chimney for months. Which might as well be true, as I doubt he's doing much chimney diving at home in Spain. Nevertheless, when you call a well established character Zwarte Piet and the first reponse he gets from a child is 'is that Zwarte Piet?' because there's so little black on him, you know you're confusing kids needlessly. I'll say no more on the matter than that I applaud the Belgian intentions but their execution still leaves room for unnecessary debate.